Post: Gaurav Akrani. Date: 9/22/2010. No Comments. Label: Economics, India, Study Notes. Every money is unique in nature. The money market in developed and developing countries differ markedly from each other in many senses. Indian money market is not an exception for this. Though it is not a developed money market, it is a leading money market among the developing countries. Dichotomic Structure : It is a significant aspect of the Indian money market. It has a simultaneous existence of both the organized money market as well as unorganised money markets. 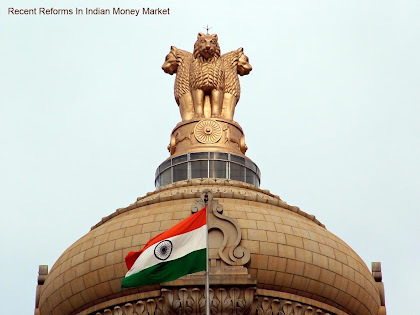 The organized money market consists of RBI, all scheduled commercial banks and other recognized financial institutions. However, the unorganized part of the money market comprises domestic money lenders, indigenous bankers, trader, etc. The organized money market is in full control of the RBI. However, unorganized money market remains outside the RBI control. Thus both the organized and unorganized money market exists simultaneously. Seasonality : The demand for money in Indian money market is of a seasonal nature. India being an agriculture predominant economy, the demand for money is generated from the agricultural operations. During the busy season i.e. between October and April more agricultural activities takes place leading to a higher demand for money. Multiplicity of Interest Rates : In Indian money market, we have many levels of interest rates. They differ from bank to bank from period to period and even from borrower to borrower. Again in both organized and unorganized segment the interest rates differs. Thus there is an existence of many rates of interest in the Indian money market. Lack of Organized Bill Market : In the Indian money market, the organized bill market is not prevalent. Though the RBI tried to introduce the Bill Market Scheme (1952) and then New Bill Market Scheme in 1970, still there is no properly organized bill market in India. Absence of Integration : This is a very important feature of the Indian money market. At the same time it is divided among several segments or sections which are loosely connected with each other. There is a lack of coordination among these different components of the money market. RBI has full control over the components in the organized segment but it cannot control the components in the unorganized segment. High Volatility in Call Money Market : The call money market is a market for very short term money. Here money is demanded at the call rate. Basically the demand for call money comes from the commercial banks. Institutions such as the GIC, LIC, etc suffer huge fluctuations and thus it has remained highly volatile. Limited Instruments : It is in fact a defect of the Indian money market. In our money market the supply of various instruments such as the Treasury Bills, Commercial Bills, Certificate of Deposits, Commercial Papers, etc. is very limited. In order to meet the varied requirements of borrowers and lenders, It is necessary to develop numerous instruments. Though the Indian money market is considered as the advanced money market among developing countries, it still suffers from many drawbacks or defects. These defects limit the efficiency of our market. Absence of Integration : The Indian money market is broadly divided into the Organized and Unorganized Sectors. The former comprises the legal financial institutions backed by the RBI. The unorganized statement of it includes various institutions such as indigenous bankers, village money lenders, traders, etc. There is lack of proper integration between these two segments. Multiple rate of interest : In the Indian money market, especially the banks, there exists too many rates of interests. These rates vary for lending, borrowing, government activities, etc. Many rates of interests create confusion among the investors. Insufficient Funds or Resources : The Indian economy with its seasonal structure faces frequent shortage of financial recourse. Lower income, lower savings, and lack of banking habits among people are some of the reasons for it. Shortage of Investment Instruments : In the Indian money market, various investment instruments such as Treasury Bills, Commercial Bills, Certificate of Deposits, Commercial Papers, etc. are used. But taking into account the size of the population and market these instruments are inadequate. Shortage of Commercial Bill : In India, as many banks keep large funds for liquidity purpose, the use of the commercial bills is very limited. Similarly since a large number of transactions are preferred in the cash form the scope for commercial bills are limited. Lack of Organized Banking System : In India even through we have a big network of commercial banks, still the banking system suffers from major weaknesses such as the NPA, huge losses, poor efficiency. The absence of the organized banking system is major problem for Indian money market. Less number of Dealers : There are poor number of dealers in the short-term assets who can act as mediators between the government and the banking system. The less number of dealers leads tc the slow contact between the end lender and end borrowers. These are some of the major drawbacks of the Indian money market; many of these are also the features of our money market. Indian Government appointed a committee under the chairmanship of Sukhamoy Chakravarty in 1984 to review the Indian monetary system. Later, Narayanan Vaghul working group and Narasimham Committee was also set up. As per the recommendations of these study groups and with the financial sector reforms initiated in the early 1990s, the government has adopted following major reforms in the Indian money market. Deregulation of the Interest Rate : In recent period the government has adopted an interest rate policy of liberal nature. It lifted the ceiling rates of the call money market, short-term deposits, bills re-discounting, etc. Commercial banks are advised to see the interest rate change that takes place within the limit. There was a further deregulation of interest rates during the economic reforms. Currently interest rates are determined by the working of market forces except for a few regulations. 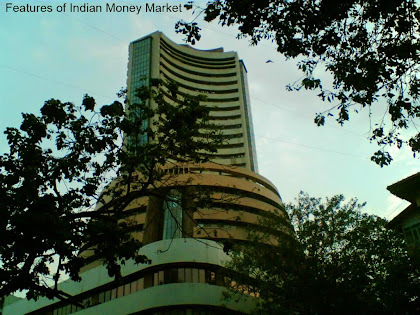 Money Market Mutual Fund (MMMFs) : In order to provide additional short-term investment revenue, the RBI encouraged and established the Money Market Mutual Funds (MMMFs) in April 1992. MMMFs are allowed to sell units to corporate and individuals. The upper limit of 50 crore investments has also been lifted. Financial institutions such as the IDBI and the UTI have set up such funds. Establishment of the DFI : The Discount and Finance House of India (DFHI) was set up in April 1988 to impart liquidity in the money market. It was set up jointly by the RBI, Public sector Banks and Financial Institutions. 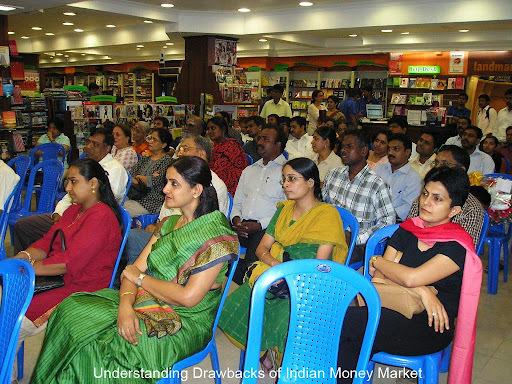 DFHI has played an important role in stabilizing the Indian money market. Liquidity Adjustment Facility (LAF) : Through the LAF, the RBI remains in the money market on a continue basis through the repo transaction. LAF adjusts liquidity in the market through absorption and or injection of financial resources. Electronic Transactions : In order to impart transparency and efficiency in the money market transaction the electronic dealing system has been started. It covers all deals in the money market. Similarly it is useful for the RBI to watchdog the money market. Establishment of the CCIL : The Clearing Corporation of India limited (CCIL) was set up in April 2001. The CCIL clears all transactions in government securities, and repose reported on the Negotiated Dealing System. Development of New Market Instruments : The government has consistently tried to introduce new short-term investment instruments. Examples: Treasury Bills of various duration, Commercial papers, Certificates of Deposits, MMMFs, etc. have been introduced in the Indian Money Market. These are major reforms undertaken in the money market in India. Apart from these, the stamp duty reforms, floating rate bonds, etc. are some other prominent reforms in the money market in India. Thus, at the end we can conclude that the Indian money market is developing at a good speed.